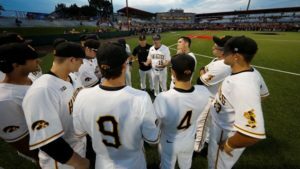 Understanding how to get recruited for college baseball starts by first understanding that if you wait until your senior year, you have most likely missed your chance. In most cases, college and university recruiting coaches have already chosen potential scholarship athletes by their sophomore year with only a few left at the junior year. The variable here is athletes of such high caliber that they are picked up in the MLB Wildcard Draft and forego college to go straight into the pros. For Division I schools, that means a few openings may be available at the senior year, but that only affects a few athletes at best. 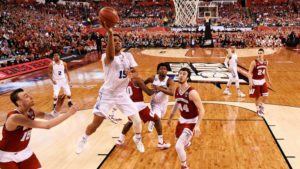 If you are shooting for Division I and the best programs, then you will need to demonstrate your skills during your sophomore year. Those aiming at other DI or Division II schools will most likely see recruitment in their junior year. So, to get a phone call after July 1st just before your senior year, you’ll need to do more than just play well during your junior year. You’ll also need to do more than just create a highlight video, although that will help. It’s common for many students to visit colleges during their sophomore year, especially if they are targeting the lower DI and DII schools. You’ll want to check out what they have to offer and know their requirements. Not enough can be said about keeping your grade point average as high as possible. This is often the difference-maker between otherwise equal players on the baseball field. The higher your GPA and the better you do on college entrance examinations, the more likely you are to receive an athletic scholarship. This is because you have demonstrated the academic skills to do well in college. You’ll need to stay fit and develop your skills in baseball so you can become more attractive to colleges and universities looking for your talent. The more developed your skills, the more likely you are to be looked at and chosen for an athletic scholarship. To be seen, you’ll have to do more than just play for your high school team, you’ll need to attend the right camps and play in tournaments that many college and university coaches attend to see the talent available. The more you play and improve your skills, the more likely you are to garner the right attention. At SportsForce, we offer the right combination of experience, evaluation, marketing, and networking to ensure that you are seen by the right college coaches. We are a professional organization with many years of experience in helping high school students just like you realize their dreams of playing at a higher learning institution by getting an athletic scholarship. Our experts will provide the right evaluation and direct your efforts at the colleges and universities that provide the best chance of landing an athletic scholarship. While we offer no guarantees, we do have an outstanding record of success in helping students like you realize your dreams. Please contact us today to find out more about how to get recruited for college baseball with a Free Evaluation. With many thousands of talented teens playing basketball in junior high, middle school, and high school around the country, the chances of landing an athletic scholarship at a Division 1 school may seem far-fetched. However, there is a process that improves the chances of getting a Division 1 basketball scholarship so that your son or daughter can attend the college or university that best suits their needs. Do the Basics: This means keeping up with schoolwork, staying in shape, and beginning the process of contacting Division 1 schools for information about how to get athletic scholarships. You will need to start this process as soon as possible, preferably before your child enters high school. The longer you wait, the less their chances will be of nabbing an athletic scholarship. By the time they become seniors, college and university recruiters will have already made their decisions. Improve Skills: Every day that is spent improving the skills of the child is another day they increase their chances of landing an important scholarship. Raw talent is simply not enough in today’s competitive world, so a little time each day dedicated to improving different aspects of their game will be of immense help. This means staying in shape, learning new aspects of the game, and improving skills every day. The practices can be short so your child does not lose interest, but they do need to be focused so they are learning more about the game. Summer Basketball: Perhaps the biggest change in recruiting over the past two decades is the rise of summer basketball camps. This allows the best from around the country to gather together and learn new techniques, play in tournaments, and most importantly get seen by college recruiters. This allows teens to stand out from the rest while learning new skills. By attending camps starting before their high school years, your teen stands the best chance of being noticed. By being proactive, you can help your child get noticed by recruiters so they can maximize their chances of landing a scholarship. This means going to a professional organization like SportsForce that offers the best assistance for your teen. If you want to know more about how to get a Division 1 basketball scholarship, SportsForce a provides free evaluation for young, talented athletes, which will maximize their chances at landing a scholarship. Too many young athletes miss out on scholarship opportunities because they do not know their full potential, have not prepared in the right manner, or have the contacts necessary to reach those in each institution that improve the chances of landing a scholarship. If your son or daughter has demonstrated real talent in basketball, then you will need to act quickly so they maximize their chances of landing a scholarship at a prestigious Division 1 school. Sign up for a free evaluation today and see how your teen can improve their chances of going to the university of their choice. 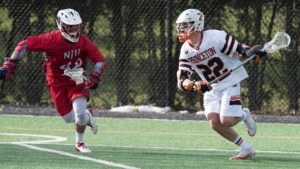 Should You Use a Lacrosse Recruiting Service? It seems in recent years there has been an explosion of lacrosse recruiting services designed to help parents find the best scholarship opportunities for their children. You may have already been bombarded with all sorts of wild promises from advertisements proclaiming that they will find athletic scholarships for your child because they have the inside track. Given the relatively low cost that many of these services charge compared to even a partial scholarship at a college or university, many parents see them as a worthy investment. However, do they really live up to their hype? It may seem on the surface that recruiting services, in general, are not needed because there are a significant number of athletes who receive scholarships without having to spend a dime. Yet, there are real advantages to using the right lacrosse recruiting services. Knowledge: Understanding how the system works is vital to getting a scholarship. The best recruiting services properly evaluate the talent of your child and go about shopping their skills to the most appropriate colleges and universities. This knowledge of the system means that less time is wasted on colleges that would have little to no interest in your child while maximizing their chances at places where they will be quickly recruited. Planning: Recruitment is a multi-year process that often starts in the 9th grade thanks to the camps and tournaments held outside the school system, which draws in interested parties from colleges and universities. By the time a lacrosse player reaches their senior year, they have already been seen and evaluated by coaches and recruiting staff from many different colleges. A good recruiting service plans for this and provides valuable information about where your child can compete and be seen, which increases their chances of success. Network: While networking is arguably overrated, it is still an important function of the best-recruiting services. A recruiting company with a solid network knows how to properly market your child’s ability and potential to the right colleges because they have the proper contacts and relationships to reach the right people. Of course, a recruiting service devoted to lacrosse players will only be as good as the personnel, contacts, attributes, and evaluation abilities. This means it’s important to select the company that offers the best one on one attention for your teen while still being affordable. Plus, you must keep in mind the changing times and perhaps the changing interests of your child. A good recruiting professional will help you stay on track and hone in on the details of current opportunities, which is an invaluable resource for parents who know their child is serious about lacrosse. If you are looking for a lacrosse recruiting service that maximizes your child’s chances of earning a scholarship, SportsForce is here for you. We have the knowledge, experience, and networking that provides lacrosse athletes the right path towards getting successfully recruited. Our services include proper evaluation and creating a plan that best fits the skills and talents of your child so you can focus on the right schools for scholarship opportunities. At SportsForce, we are here to help your child realize their dream while getting the education they need from the right college or university. For a free evaluation click HERE.